Don't Miss the Martin County ArtsFest 2016! Bank Note / Florida / Don't Miss the Martin County ArtsFest 2016! We can assure you that you won't want to miss the Martin County ArtsFest 2016 happening Saturday, February 20 - Sunday, February 21, 2016 at Stuart's Memorial Park. In fact, he Southeast Tourism Society has named ArtsFest as a STS Top 20 Event in the Southeast, drawing attendees from all across Florida and beyond. With a weekend full of events ranging from the Literary Village to Chopped - A Culinary Challenge, live entertainment and so much more, there's sure to be something exciting for every member of your family to enjoy. In fact, the first 50 kids to visit the Literary Village at ArtsFest 2016 each day will even receive a free children’s book! Click here for a schedule of entertainment and more information on each of these special events! 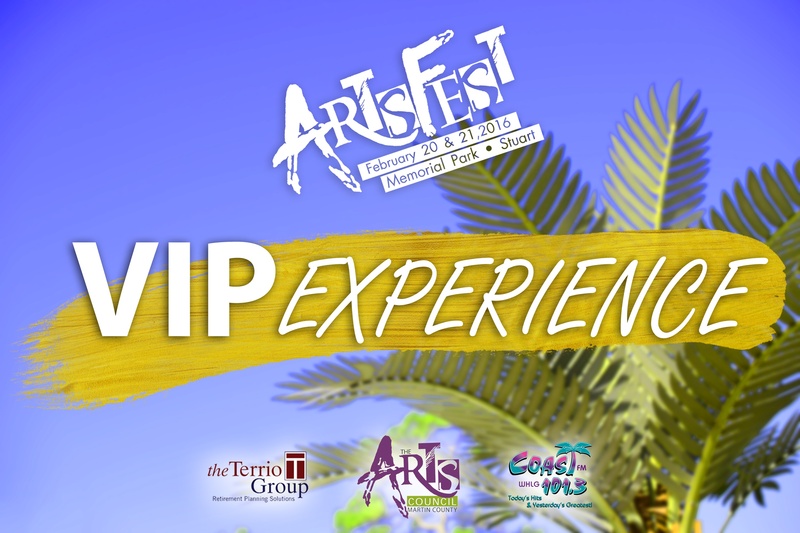 If this sounds like a weekend your family would be thrilled to enjoy together in the Florida sunshine, take it to the next level with the ArtsFest VIP experience, sponsored by The Arts Council of Martin County along with The Terrio Group, and Coast 101.3. VIP Lounge guests will experience an array of special activities, food and drinks. Master Mixologists will be pouring the "Perfect Artini", and guests will also enjoy Craft Beer Tastings, Wine Tastings, Catered Lunch, Live Entertainment, Premier Seating for the Stuart Chopped Competition as well as Live Art demonstrations and Farm to Table cooking demonstrations. Each guest will leave with a Swag Bag gifts from our sponsors. VIP Tickets are limited, so purchase yours today to ensure you don't miss out!